1.To make harissa, place dried chillies in a small heatproof bowl. Pour over 1 cup of boiling water and stand for about 10 minutes until softened. Drain and set aside. 2.Preheat grill to high and place capsicum skin-side up and cook for 10-15 minutes or until skin is blistered and darkened. Place in a bowl and cover with plastic wrap. Cool for 10 minutes. Rub off skins and discard. 3.Process capsicum, fresh chillies, soaked chillies, ground cumin, ground caraway, garlic, sugar, oil in the food processor until smooth. Season with salt and pepper. Harissa has many different uses. It lasts for months in the fridge and has endless uses. I use it on marinades, chicken, vegetables, fish, beef or lamb. You can even stir it through a dressing. Warning: It’s addictive! 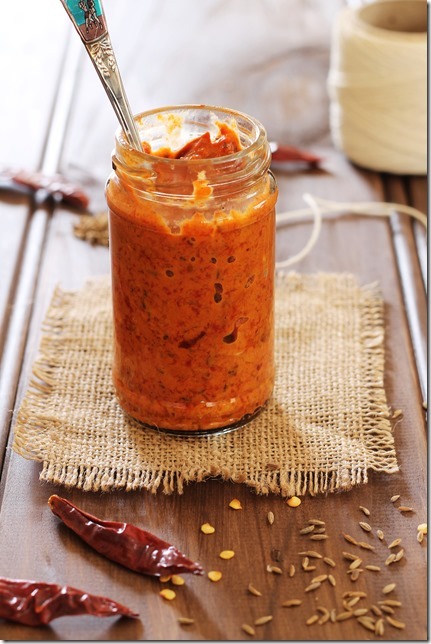 Note: Use less chillies for a milder paste and remove the seeds from the dried chillies. Double the quantity of the recipe to make about a cup.